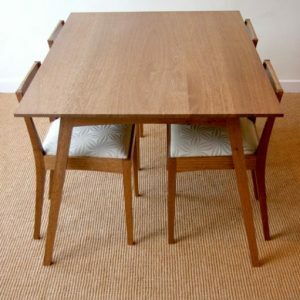 Description: The table is designed to seat six comfortably and eight at a squeeze. 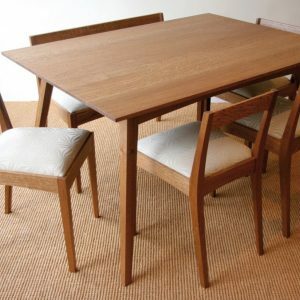 A set of four chairs were made to go with the table and a bench which sits ‘two adults or three nieces and nephews’. 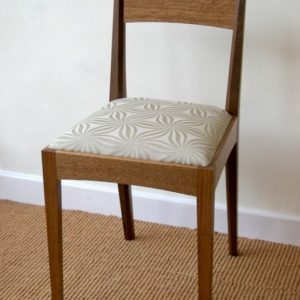 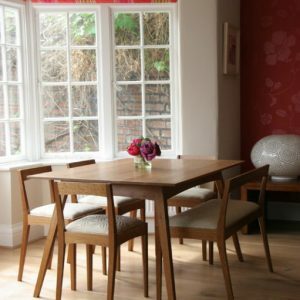 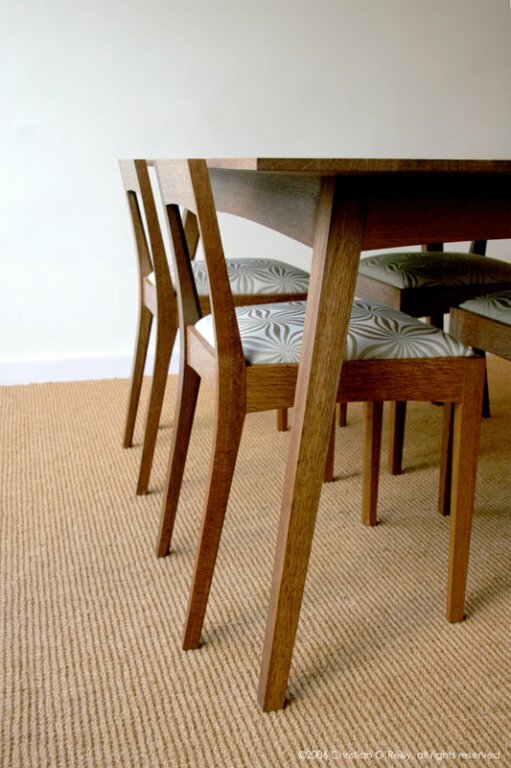 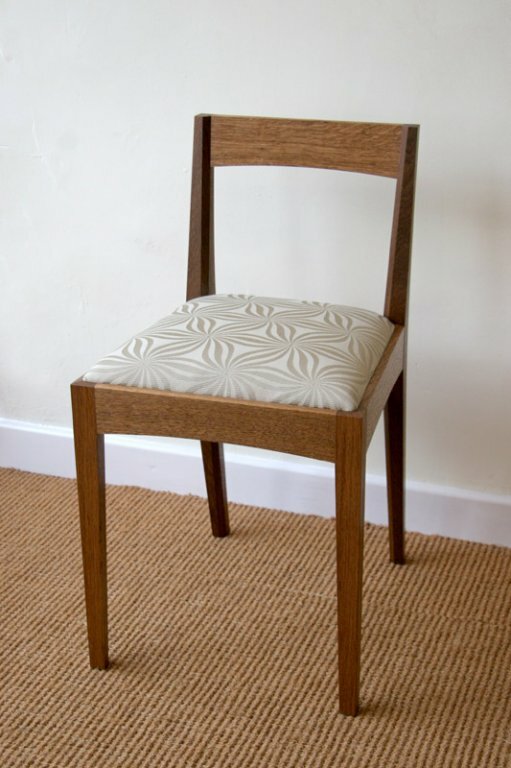 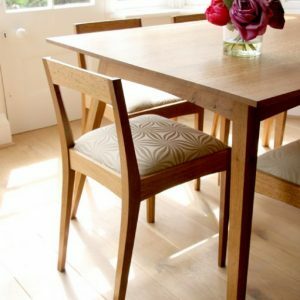 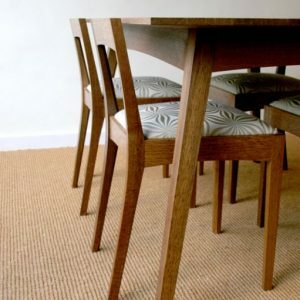 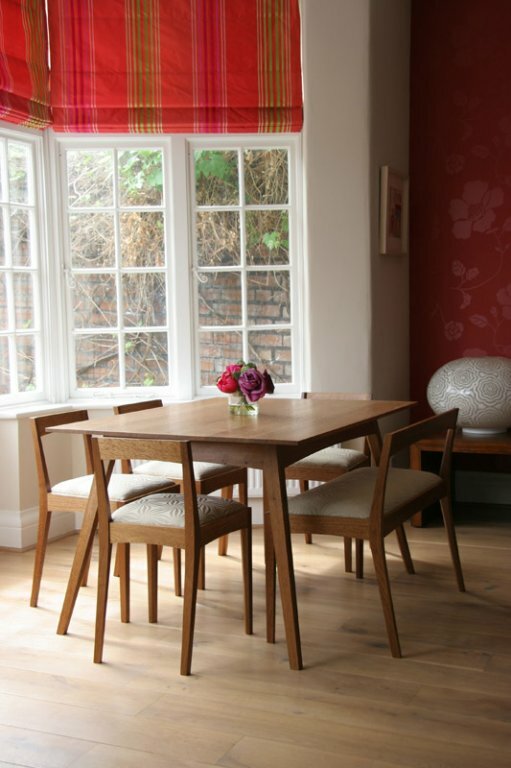 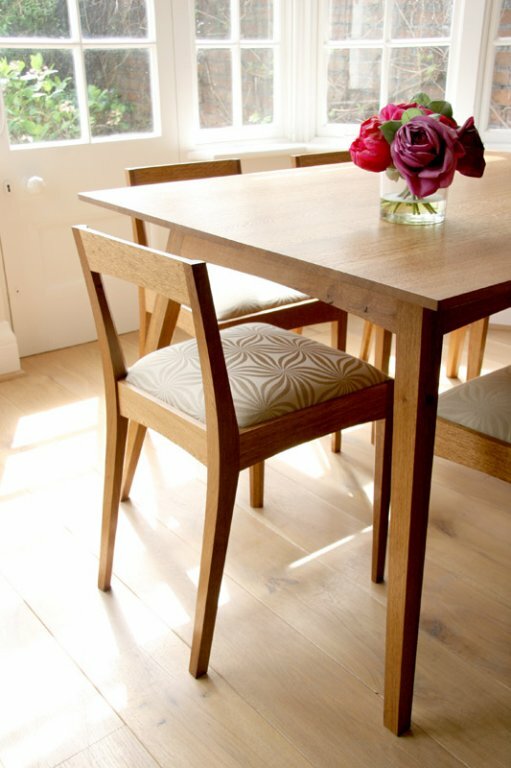 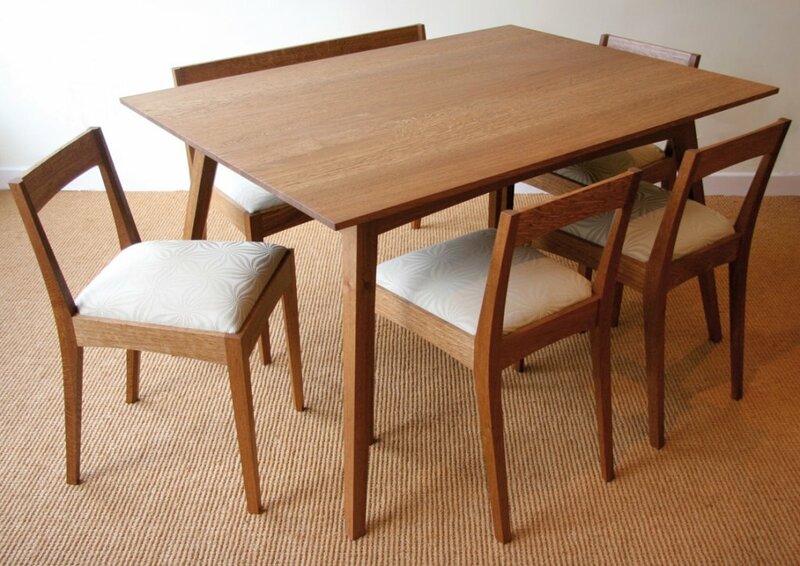 Materials: English brown oak with traditionally upholstered seats. 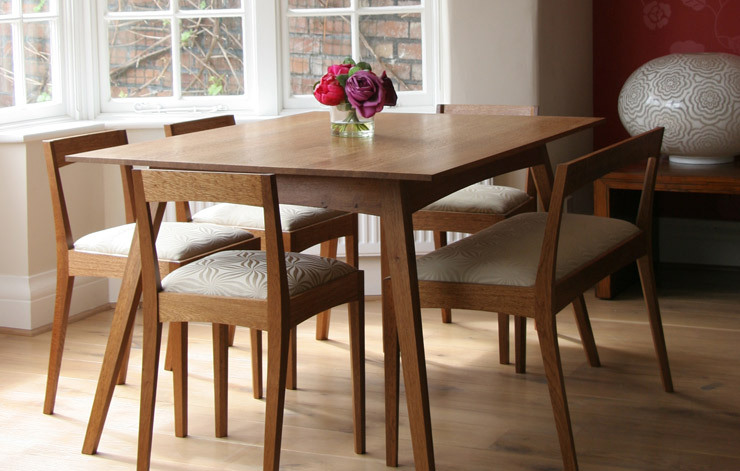 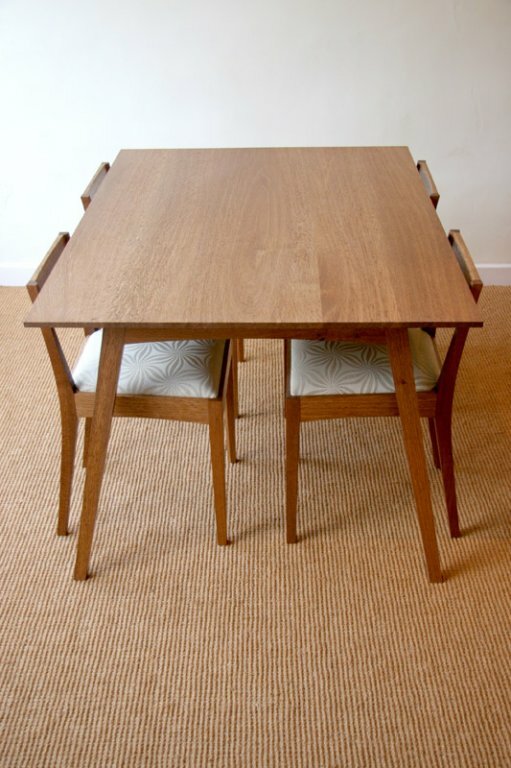 Finish: Danish oil on the chairs and table frame and ‘Timbertect’ for the table top.